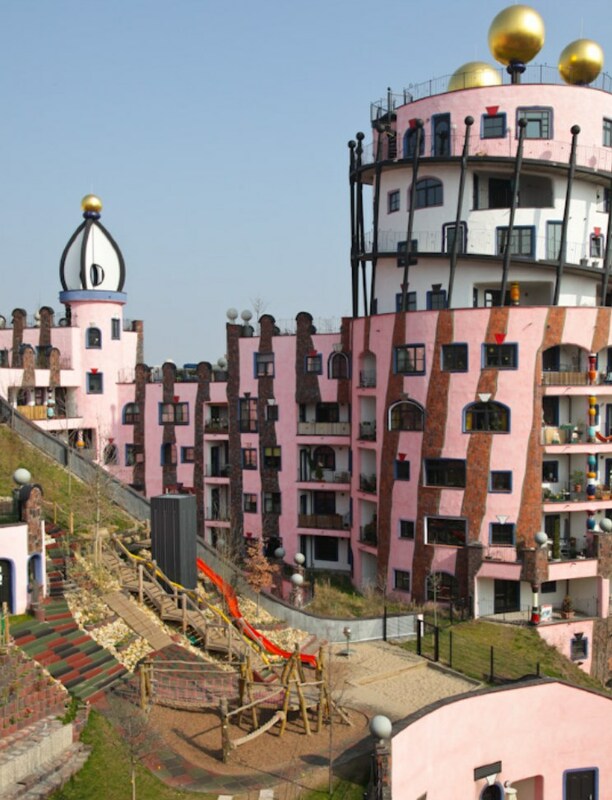 Our day-care centre is located on the first floor of Magdeburg’s Green Citadel in the heart of the city. The centre’s playgrounds are situated on outdoor roof areas. 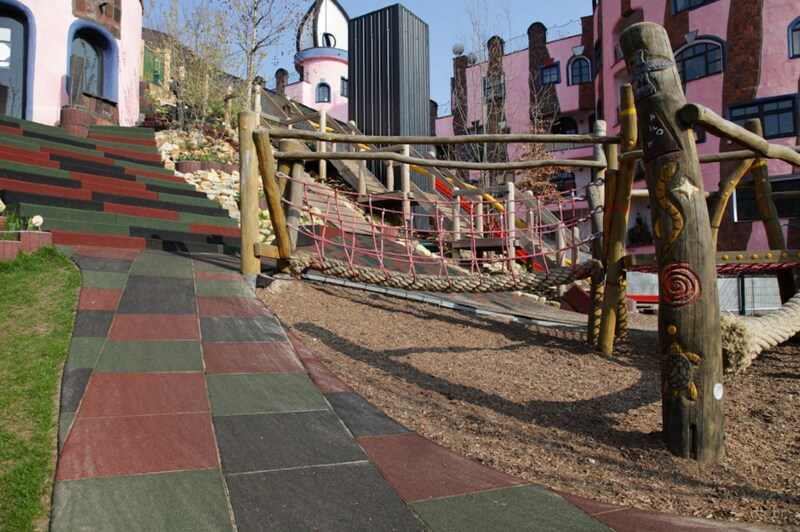 The largest playground has swings, an area to dig and build, a giant slide and a climbing frame. 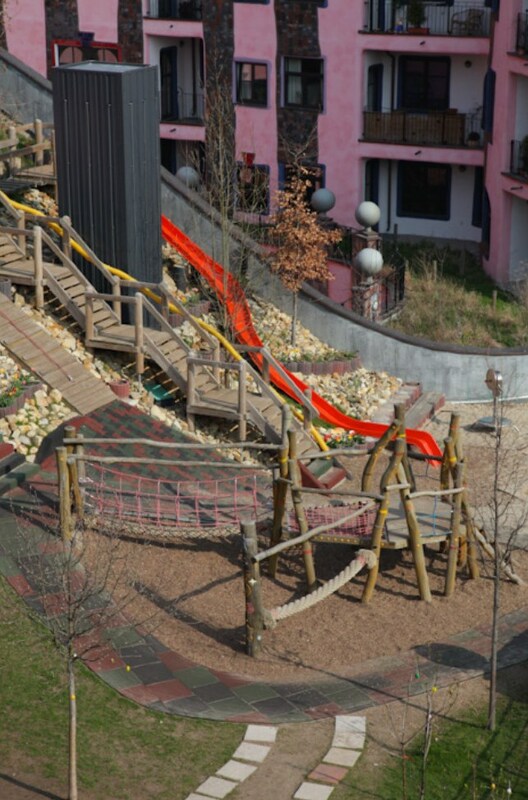 There is a slope on the roof with not only the slide, but also stairs and climbing apparatus. In the upper area, there is a play tower and smaller play areas separated by bushes. A staircase leads to a roof area that is dedicated to gardening and other special activities. In this part of the centre, there are large willow tents that encourage children to let their imagination take them on adventures. A third green area is reserved for our very youngest patrons. It has climbing equipment and a large sand pit tailored to their needs. This area can be expanded to include a movement area that comprises a little slope down towards the boundary to the Breiten Weg. Naturata Catering provides our centre with freshly-made lunches on a daily basis. Naturate is a certified organic producer and all meals are free of artificial colouring and preservatives. Parents are responsible for their children’s breakfast, snacks and their daily fresh fruit and vegetables.